A parliamentary report of 1777 recorded parish workhouses in operation at Petworth (for up to 70 inmates), Kirdford (60), Wisborough Green (80), Billingshurst (45), and Rudgwick (30). Kelly's Directory of 1887 states that Petworth's former parish workhouse was built in around 1820 and accommodated 112 inmates, while that at Wisborough Green could house 150. Sussex: Petworth (5), Kirdford (3), Wisborough Green (3), Billingshurst (3), Rudgwick (2). Later Additions (from 1869): Barlavington, Bignor, Burton, Bury, North Chapel, Coates, Duncton, Egdean, Fittleworth, Stopham, Sutton. The population falling within the union at the 1831 census had been 9,042 with parishes ranging in size from Rudgwick (population 950) to Petworth itself (3,114). The average annual poor-rate expenditure for the period 1833-35 had been £12,224. The new Petworth Union continued to make use of three former parish workhouses at Petworth (for able bodied adults), Wisborough Green (for children) and Kirdford (for the old and infirm). 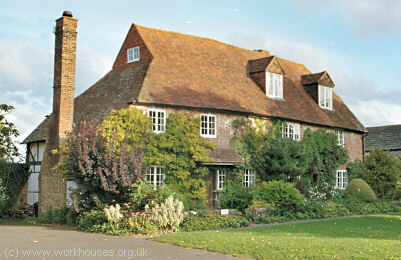 The workhouse at Petworth was situated at Hampers Green to the north of Petworth. It had a U-shaped layout, open to the east. Men's accommodation was in the south wing, and women in the west. The Master's accommodation was at the north-west corner, and the north wing contained the wash-house, the 'boiling room', bake-house, and female casuals' block. A laundry lay at the east of the yard. A male casuals' block and stone-breaking yard lay at the south-west. The site location and layout can be seen on the 1910 map. Petworth union workhouse, petworh, from the north-west. The buildings have now been demolished. The Wisborough Green workhouse is an L-shaped building that survives as in the form of Petworth village hall and a house named The Old Workhouse. Its north wing contained (starting at the west) a wash-house, the Master's room, and a hall. The east wing contained (starting at the north) a board-room, and two school rooms. There was a small single-storey cottage at the north-east corner. The area enclosed by the two main wings (now the village hall car park) was the boys' exercise yard. A small building at the east of The Old Workhouse's garden may have been a mortuary. The workhouse layout and location is shown on the 1896 OS map below. Wisborough Green workhouse site, 1896. Wisborough Green from the north-west, 2001. The Wisborough Green workhouse was closed in 1918. 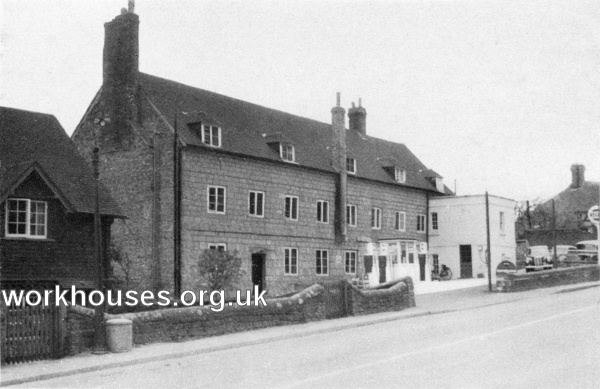 The Kirdford workhouse appears to have been in use at least until the 1880s. The surviving parts of the building have been converted to residential use. 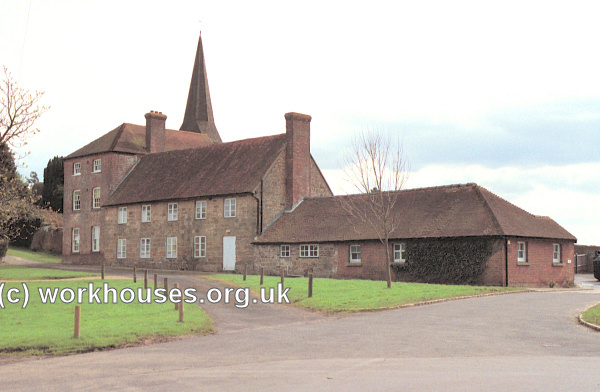 Kirdford former parish workhouse from the south-west, 2004. Kirdford former workhouse from the north-west, 2004. West Sussex Record Office, County Hall, Chichester, West Sussex PO19 1RN. Holdings include Guardians' minutes (1835-1930); Births (1866-1926); Deaths (1866-1916); etc.